Cancer Has Spread To Brain - Have you ever heard of metastasis? This is one of the medical terms, which means the spread, especially the spread of cancer cells in the body. Cancer cells in the body can make the distribution to the organ or tissue in the surrounding areas even reaching the brain. The cell of cancer has spread to the brain can cause brain metastasis. Brain metastases can occur up nearly 25% of the cancer spreading. The number of these events even exceeds the number of cancer that starts in the brain itself. Some types of cancer are often spread and become a brain metastasis is lung cancer and breast cancer. However, other types of cancer are also very likely to metastasize to the brain such as skin cancer and bone cancer. Many people may feel confused when given information by the examining doctor that the cancer has spread to the brain and he suffered other types of cancer. Patients with cancer who experience a brain metastasis or spread of cancer cells that reach the brain are the presence of a severe headache. Head pain arises due to the tumor cells that take up space in the brain when the brain has limited space with the skull. The presence of tumor cells spread to the brain can cause increased pressure inside the skull into which ultimately lead to tremendous pain. In fact, symptoms of brain metastases usually more severe than experienced symptoms of primary cancer. 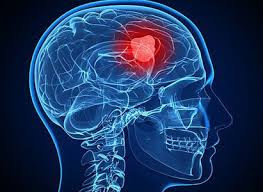 It also causes many cancer patients will experience a brain tumor is detected before the primary cancer can be detected. Although the primary brain tumors can occur in anyone, but it is apparently less common than brain tumor is a secondary tumor as metastatic. If the cancer has spread to the brain, you certainly cannot assume it is a simple condition because it is also very dangerous to the health of your body. In this case, the right treatment will be very important to do. Patients can receive care and treatment of brain metastases despite the primary cancer is still in his body. Symptoms of more severe brain metastases often make patient feels unwell and this will make the process of treatment of the primary cancer is inhibited so that the handle of brain metastases in advance would be more important to do. One method of treatment that can be done to treat brain metastasis is using Gamma Knife technology. This treatment method can be an alternative option to eliminate the cancer has spread to the brain with minimal complication rate.